Fantastic turn out for our 4 and 5 November show! What was on display last weekend? Bold yet feminine jewellery by Dada Arrigoni, elegant gemstone earrings by Renée Arnold, colourful rings by Adolfo Courrier and playful ceramics designs by Orotech. On Sunday there was the opportunity to meet Barbara Dorsch-Aumiller. She was on hand to introduce her exclusive line of handmade jewellery. Would you like to receive an invitation to our next event? This automatic watch by Nomos Glashütte is only 3.2mm thick and highly accurate. Paradise collection with Aquamarine by Marco Bicego. 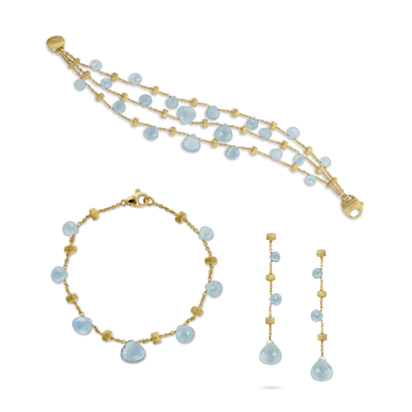 The necklaces, bracelets and earrings made in this line are made up of small manually engraved 18k gold elements and facetted Aquamarine drops that combine into delicate and romantic pieces. Wonderful response to Eva Nueva show. This past weekend (10 and 11 June) was all about the colourful and feminine collection Eva Nueva. Our event featured a wine tasting by Simon de Vogel and Italian music and finger food in support of this gorgeous Italian collection. We had a great turn out and many wonderful reactions! We thank everyone for attending and look forward to seeing you again next time! If you would like to receive an invitation to such events in future please leave your contact information here. D-Line: the latest by Dada Arrigoni! An elegant and dynamic collection that plays with shapes and creates movement with the double line of gold and diamonds. Available in 18k gold with white, champagne or black diamonds. 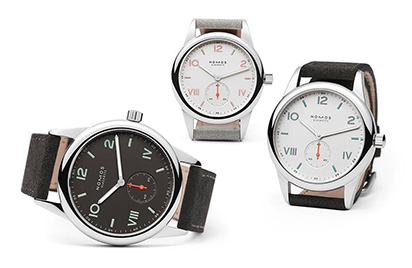 The Club Campus by Nomos Glashütte. 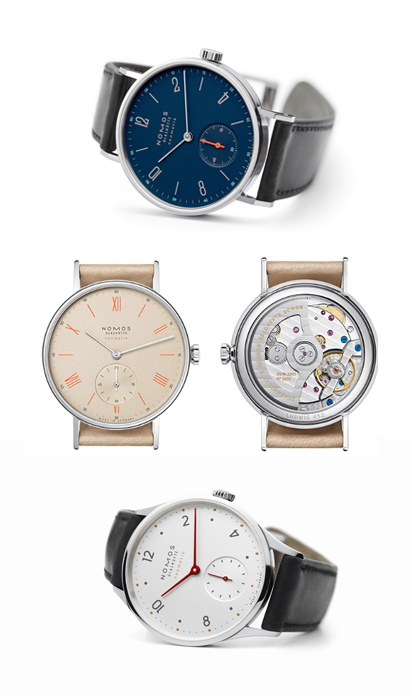 Three new models, three unique designs in the classic Club stainless steel case. All three of these beautiful, robust and handmade mechanical watches are equipped with superluminova, enabling the wearer to easily tell time even at night, and a soft suede strap.